Why is an Olive Tree Growing in a Vineyard? 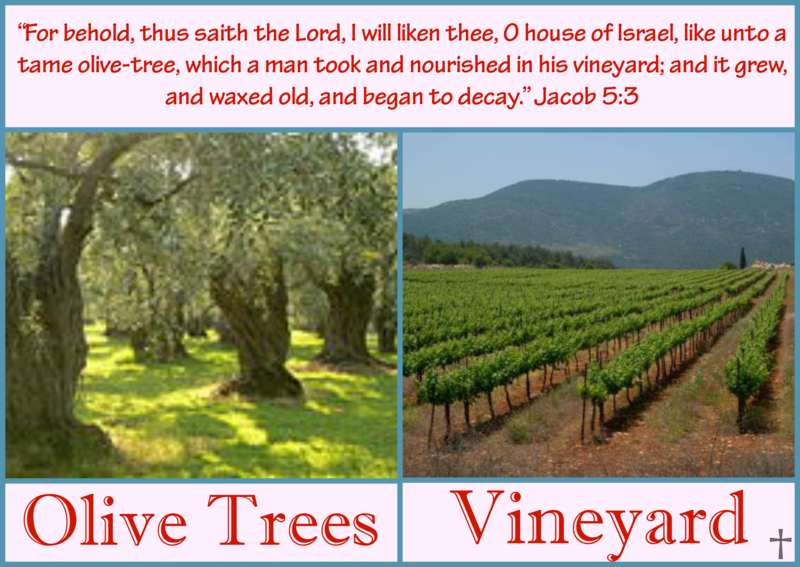 The passage in Isaiah is known as the Song of the Vineyard. It’s a love song by Isaiah to the people, but his song turns more into a parable asking why they betrayed the Lord. 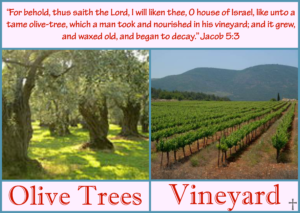 The Mormon prophet Zenos’ warning used Paul’s imagery of how the Gentiles would be grafted into the body of believers with the Jews from Romans chapter eleven, but somehow he’s forgotten he was talking about vineyards, not olive trees. How do you trust a so-called inspired book from your god if it contains major mistakes like this? Olive trees have been grown around vineyards for centuries. The account in Jacob can absolutely be trusted and provides another reason to believe the Book of Mormon. If the writer of this sight was more interested in providing accuracy than bearing a false witness, he could have provided research to show that this has been a practice for thousands of years. The Book of Mormon is absolutely true from cover to cover. I encourage it’s reading to all. Read it. Ponder it. Pray about it. People! Read the Book of Mormon for yourself. Olive trees in vineyards have been paired for thousands of years. This could have been discovered with the tiniest honest secular research. The writer of this article is being dishonest and using half truths and mockery to disparage truth much like the persecutors of Christ and the ancient apostles did. Read if for yourself and pray for your own witness. I know it’s true and is a second witness of Jesus Christ with the Bible of His divinity.